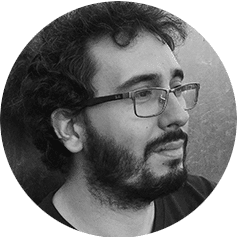 Massimo Menichinelli is a designer who researches and develops open, collaborative, and co-design projects and the systems that enable them since 2005. He uses design tools and processes in order to help companies, organisations, cities and local communities to develop open and collaborative processes, business, services, places and projects such as Open Design, FabLab and User-driven Open and Social Innovation initiatives. Massimo has given lectures and workshops in various countries including Italy, Spain, Finland, Germany, United Kingdom, Mexico, Colombia, South Korea and Singapore so far. He recently worked on the development of the Aalto FabLab, co-organised the first Open Knowledge Festival in Helsinki and co-founded the Open Design Working Group at the Open Knowledge Foundation. He lectures on Digital Fabrication and Open Design at Aalto University (Helsinki, Finland). He recently developed the MUSE FabLab (Trento, Italy) and he is now Director at the Make In Italy Italian Fablab & Makers Foundation Cdb Onlus. Professional interests: Workshop facilitation, FabLab development, Co-Design Methodologies, Tools and Processes; Open, Collaborative and User-driven Innovation; Open and Distributed Organizations and Business Models; Community management and Social Network Analysis, FabLab, Digital Fabrication technologies and Open Manufacturing Systems; Social and Technological Innovations for cities and regions.